On Sunday, 13/03, at Vancouver Apartment Squat we got attacked with a Molotov cocktail by the local fascist group A.M.E. The group published a text on their blog, taking the responsibility and treating that they will come back. They didn’t reach their goal because no damages were done as the bottle failed to set the house on fire. 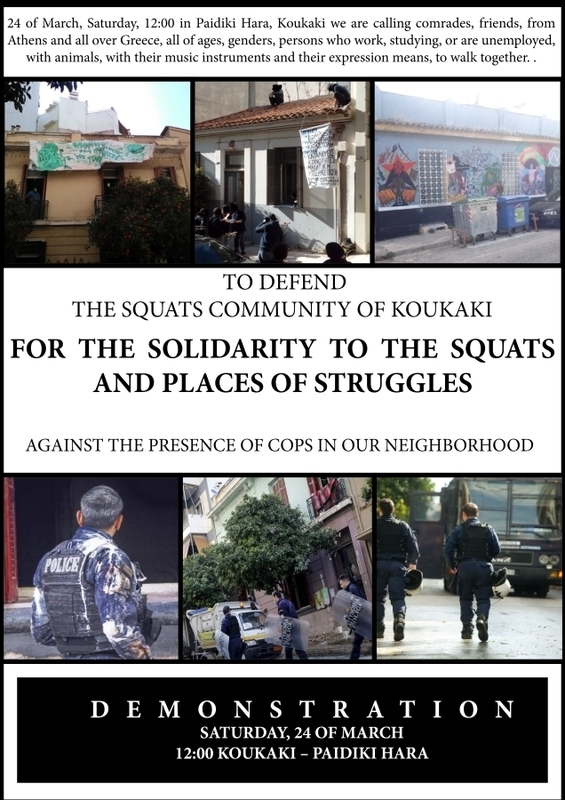 This is the second fascist attack against squats within a month. 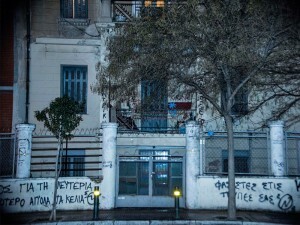 The previous happened to Zaimi Squat on 16/02 by the fascist group C18 Hellas. Nothing will stop us. The threats of the fascists, the State, and ASOEE University (who owns the building) will not make us give up our struggle. 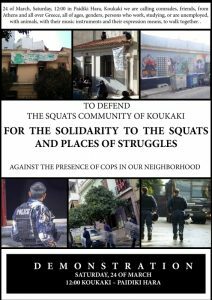 Solidarity to Zaimi, Libertatia, Mundo Nuevo, Analipsi, Autonomous Steki Exarchia, Kouvelou, Terra Incognita and all the other squats and people who have been attacked. And to those who fight against fascist and fascism. In the early hours of Tuesday, February 16th 2016, at around 04:40am, the squatted Polymorphous Action Space of Anarchists Zaimi 11 was attacked by unknown persons with two Molotov cocktails, one of which burst against the front door and the other in the front part of the yard. No material damages were caused, because the fire was promptly quenched by individuals who were present in the squat at the time and reacted immediately.